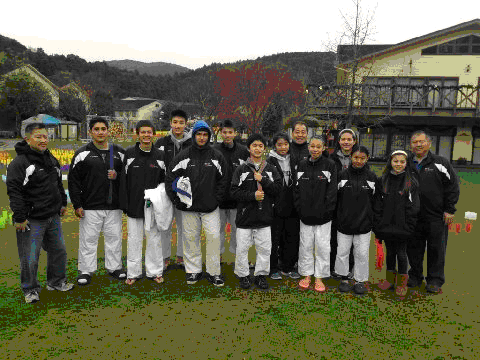 Please click on the following links for the full reports from Dr. Oishi and members of the 2012 Sanix team. All the participants did a very a good job representing American judo and the USJF in particular. This program is partially funded by the USJF Development Committee, with the grant administered by Konan Yudanshakai, but the large majority of the cost is self funded by the participants. The Sanix Tournament offers promising Junior High School USJF judoka the opportunity to travel to Japan and get “hands on” experience at a high level of intensity and technical quality that cannot be found here in the US. It includes competition as well as coaching from elite Japanese coaches, including Olympic medalists. In the past the experience has proven to be both educational and inspirational, with Sanix “graduates” consistently going on to medal in national competition and generally show great improvement in judo skill and attitude. In the past, young people from a number of Yudanshakai have participated. This year the qualified youth were from the West Coast. Special thanks to Imamura-sensei of Fresno Judo and Saito-sensei of Saito Dojo, whose personal relations with the Sanix organizers in Fukuoka Prefecture make this annual event possible. Thanks as well to Dr. Oishi and the adult support staff, and the many financial contributors, without whose assistance the travel would not be possible. This entry was posted on January 16, 2013 at 6:00 am and is filed under Judo News. You can follow any responses to this entry through the RSS 2.0 feed. You can leave a response, or trackback from your own site.